But the NSIA has rejected the report. “There is something fundamentally wrong with the IMF report. 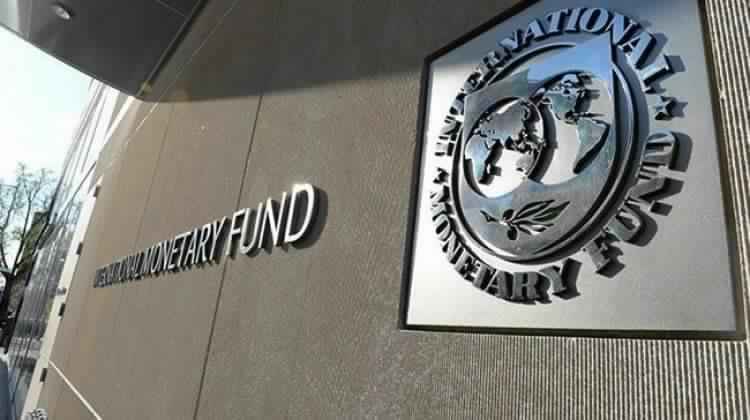 What IMF is saying is that Nigeria and other countries using the sovereign wealth fund to provide infrastructure in their countries are not doing well,” said the NSIA boss, Mr Orji. “From the IMF data, countries like Chile, Norway that do not invest in their domestic economies, because they do not have problems of infrastructure, are ranked highly. While countries with balanced mandate to invest both domestically and internationally, like Nigeria, UAE, Qatar, are ranked low,” he said. Mr Orji accused the IMF of having fundamental aversion for countries using their resources to invest in their country. He said he disagreed fundamentally with IMF concern about what a sovereign wealth fund should be used for. According to him, to expect people to put their money in foreign savings or reserves account to stabilise their economy, and not dabble into commercial investments was wrong. The NSIA boss said he supported other opinions that sovereign countries, such as African countries, should use their own resources to invest in commercially viable infrastructure at home. “The IMF has a fundamental aversion to the philosophy of people using their own money to invest in their domestic economy. “There is no point putting money in a foreign reserve account when you have clear needs to meet at home. Every country needs to develop its own ideology that serves its own purposes. The truth is, we (Nigeria) know our problems, and we are solving them directly,” he said. He said for four of the five years in a row, NSIA has run in the second quartile of performance in terms of performance, transparency and governance. Apart ensuring the origin and use of the fund were explicitly provided, Mr Orji said other criteria for governance and transparency, including independent audit of the account and provision provide quarterly audited account were met. He said the NSIA has invested in each of the three ring fenced funds – Stabilization, Future Generation and Nigeria Infrastructure, which have been consistently profitable in the last five years. Investments are in healthcare, motorways, power, agriculture, and gas recertification. With the many investment opportunities in the country, Mr Orji said NSIA’s focus was to ensure the Funds are platforms to attract other investors into the country. Despite argument in favour of investment in Stabilization alone to grow the economy, Mr Orji said the NSIA opted to invest in both Stabilization and infrastructure considering that the former is invested globally, while the later looks at local opportunities. The work of the NSIA, he said has actually added value to the economy, with investments in roads, healthcare and agriculture as well as other investments in 17 different countries. Apart from managing the NSIA mandate, he said the agency is also managing some Presidential initiatives, like the fertilizer initiative, which has helped revive about 18 fertilizer blending plants that were not in operation two years ago. “Today, they are operating and employing thousands of Nigerians, while the fertilizer are delivered at 40 percent below market price. The government subsidy has collapsed from N60billion a year to less than N6billion a year,” he said. In healthcare, he said the agency commissioned the cancer treatment centre at the Lags University Teaching Hospital (LUTH), with similar facilities to be commissioned in Kano and Umuahia next month. On the current balance sheet of the NSIA, he said the core equity of $1.5 billion, consisted of $1billion from the previous administration and $500million by the present administration, despite recession. He said aggregate returns earned so far by NSIA is about $200 million. In addition to this is about $75 milion from third party assets managed on behalf of other agencies of government like the Debt Management Office (DMO) and Presidential initiatives on infrastructure development fund, bringing the total to $2.53 billion.